Over a week after its main competitors Bell and Rogers announced Galaxy Note 7 preorder availability, Telus has now opened up its own preorders with the Black Onyx and Silver Titanium colour variants. Like the other two members of the big three, Telus is offering a free Samsung Gear Fit 2 fitness tracker, valued at $250, for those who order early. Unlike the other two, however, it’s not offering a choice between the Fit 2 and a Samsung Level Box Pro wireless speaker. Though it hasn’t advertised a trade-in offer specifically for the preorder, a Telus representatives states that trading in an old device could get customers up to $250 in store credit. 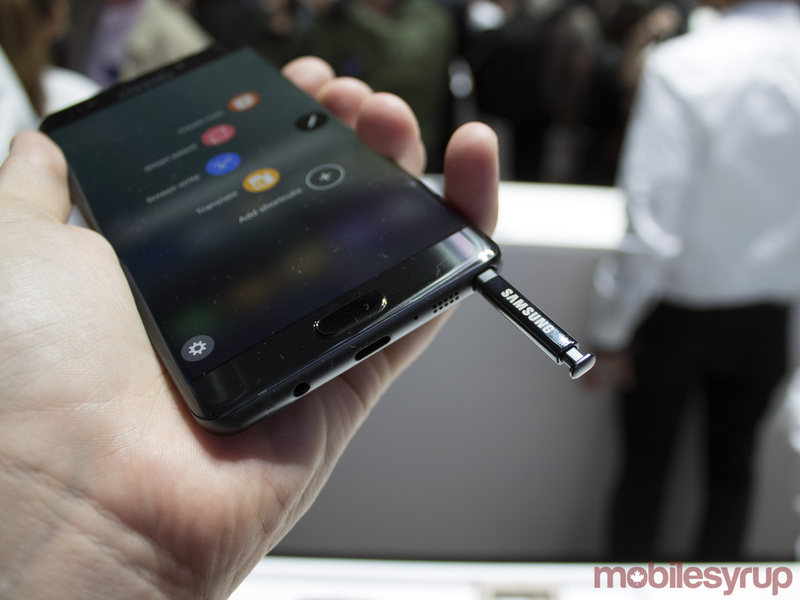 To check out a full list of the preorder deals Canadian carriers and stores are offering for the Galaxy Note 7, take a look out our handy guide here.